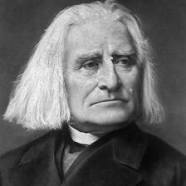 Originally written for piano in 1843, Liszt adapted this symphonic poem for orchestra in 1875. Neither of Liszt’s versions enjoy many performances today, but Singleton has rescued this work from relative obscurity in this very authentic and exciting version for wind ensemble. For the Liberty High School (CO) Wind Ensemble.